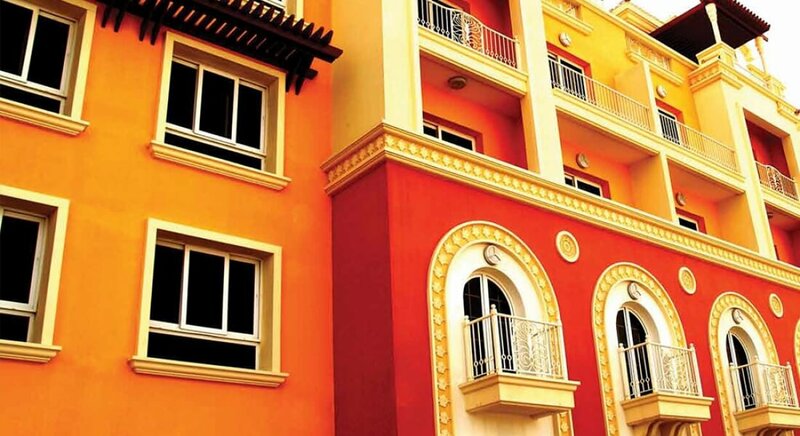 The Tuscan Residences development in Jumeirah Village Circle, offers a choice of studio, one and two bedroom apartments in themes of Mediterranean and Arabic architecture. Beautifully finished, apartments are arranged across just four storeys in three buildings that stand side by side. There are large balconies or terraces that overlook the attractive neighbourhood with its shops and restaurants at street level. Quality amenities, such as the large swimming pool, steam rooms and sauna, as well as gymnasium, residents’ lounge and barbecue area along with an outdoor children’s play area, will keep all ages and moods entertained. At night, there are spectacular views of the city lights.